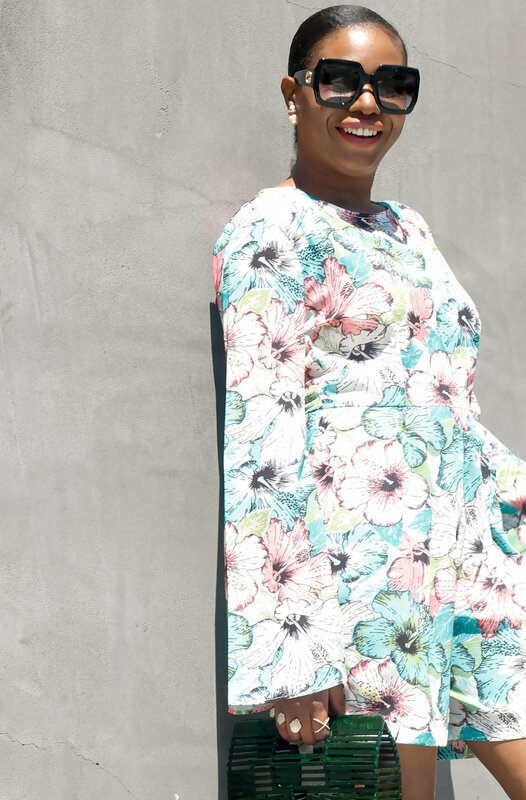 Today’s outfit post features this extremely beautiful floral jumpsuit. This romper buy Nigerian brand Frankie and Co. makes me happy. I love the pretty flowers located all over the jumpsuit. 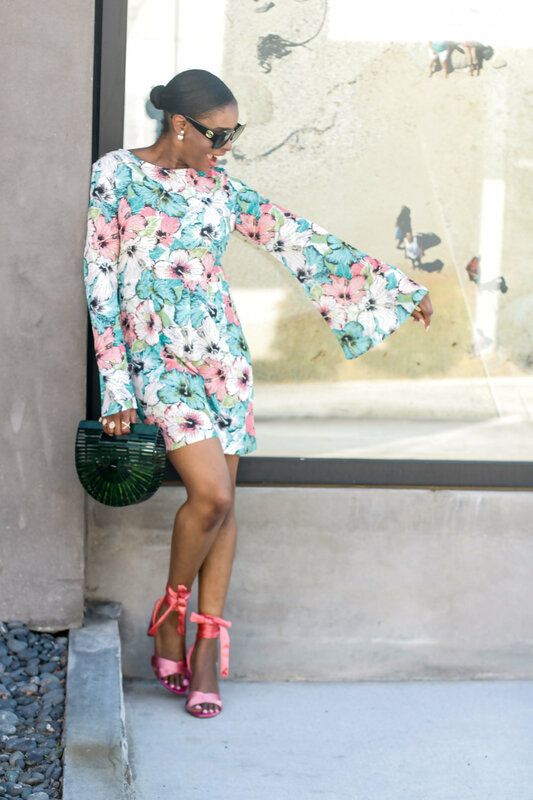 Like I said in my Ebook, floral prints is so important the season, and this romper is a perfect way to wear the trend. I used colors located on the romper to pair the romper with this fabulous green straw bag, and pink satin shoes. The pairing works perfectly and makes this outfit perfect for summer. I love the fact that this outfit is extremely versatile. You can wear this look to dinner, or switch the heels for flats and where it to a barbecue. However you decide to wear the look you will definitely make heads turn. 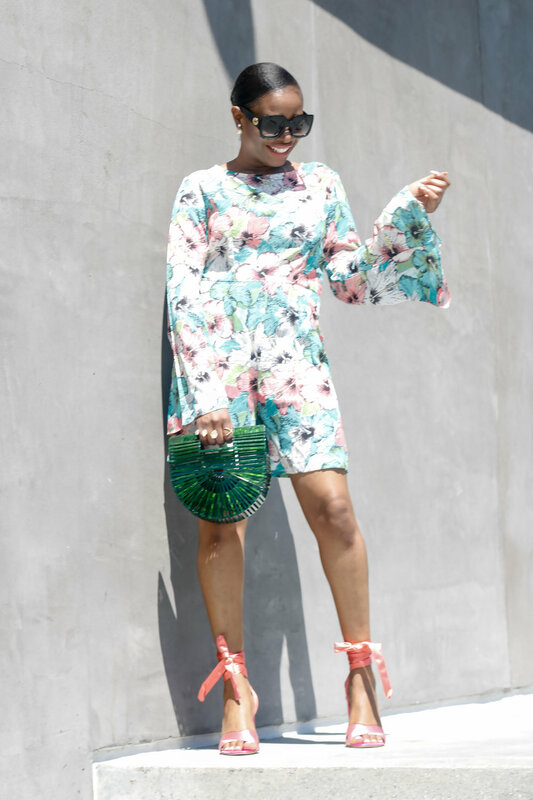 I hope you guys love the look as much as I do, and use the links to shop the post. For those of you were unable to shop from this African brand I have listed a host of floral jump suits at all price points, so get to shopping. Have a fabulous Friday and weekend lovelies, see you on Monday.